The third and fourth Cross Country models to join Volvo’s portfolio are now available to order as the company announces pricing and specification levels of both the S60 Cross Country and the V60 Cross Country. 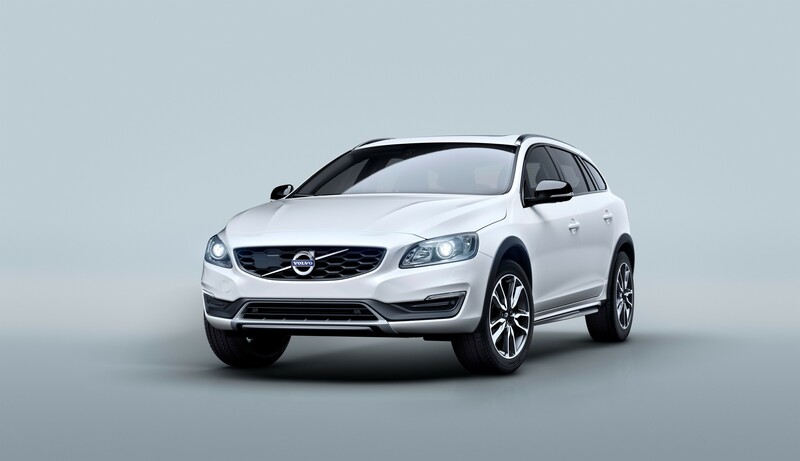 The V60 Cross Country is available in a number of different engines and trim levels, ranging from £30,195 (on-the-road) for the D3 FWD Cross Country SE, up to £38,025 for the D4 AWD Geartronic Cross Country Lux Nav. The S60 Cross Country is available in two engines and one specification level, the D4 FWD Cross Country Lux Nav (£33,695 OTR) and D4 AWD Geartronic Cross Country Lux Nav (36,725 OTR). Central to the Cross Country concept is the expression of go-anywhere capability and rugged design. It caters to those who have an active lifestyle and features design cues that heighten the adventurous nature of the car. Both the S60 Cross Country and V60 Cross Country sport an additional 65mm of ground clearance over the models they are based on. Skid plates front and rear, side scuff plates and bumper extenders convey an imposing, muscular presence that underlies its capable nature, while integrated tailpipes reflect its sporty side. Other design cues such as the gloss black window trim and door mirrors, unique front grille and unique alloy wheels, available up to 19in, complement the rest of the exterior styling. Deliveries of the new Volvo S60 and V60 Cross Country models in the UK are expected to take place from June. Production will commence in May for the V60 Cross Country while the S60 Cross Country will start in June. Deliveries in the UK are expected to take place from June.